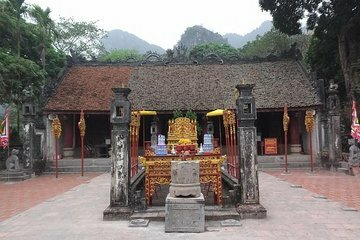 Travel to the scenic Ninh Binh province on this guided all-day tour. First, visit the Bich Dong Pagoda and learn about Buddhism in Vietnam, then hop aboard a sampan (a traditional wooden boat) and head to Thung Nang, a less-visited destination than nearby Tam Coc. The tour ends with a trip to Hoa Lu to see the temples.